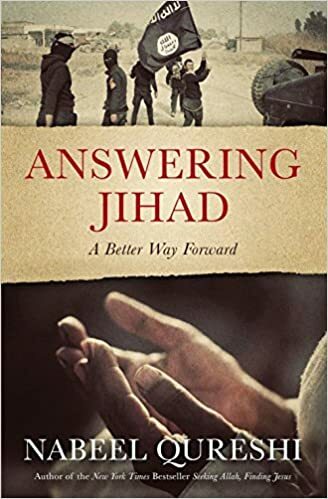 (This is a response to, a partial review of, the book by Nabeel Qureshi, ‘Answering Jihad – a better way forward’, Zondervan, 2016). I found the factual material about Islam useful, but feel that Nabeel, a Muslim turned Christian, lends too much sympathy to, or perhaps even kindness for, Islam and Muslims. This is the overall impression I had when reading the book. (No man can include everything possible in a short book, so my impression must be specific). It is an impression I often find amongst those who were once Roman Catholic – their attitude towards their past religion is not entirely cleansed of its sympathy. It is why, when I hear someone has ‘converted’ from one religion to another, I am usually cautious if not suspicious. This is because ‘conversion’ can often be an intellectual or emotional change between religious thoughts, rather than an indication of genuine salvation wrought by God through the Holy Spirit. Nabeel is of undoubted intellect and knowledge, but I do know that his book leaves me with the distinct feeling that it could easily be used as an apology for Islam rather than a call to ‘come away’ in whole to embrace the one true God. Given a more expansive book, perhaps he could clear up this impression I have. It appears that his sympathy rests in the fact that he has a very nice, peaceful Muslim family, some of whom served loyally in the US forces. However, in his sympathies I hear an indistinct trumpet sound, for he does not separate judicial approaches from individual approaches to Islam. God Himself speaks out against paganism of all kinds, and does not accept or condone ANY form of them. Why? Because they purport that other gods exist. This is something God hates. Nabeel also does not seem to realise that God does not just hate false religions that claim there are other gods (as Islam does), but He also hates those who follow those false gods, whether they are gentle and peaceful, strident and vocal, or murderous. All are the same to God, Who says plainly there are no other gods before Him! Thus, in Nabeel’s book I do not see a divine judicial response to paganism, including Islam and its followers. I see a rejection of human judicial responses to what is a murderous cult. And it is this section of his book that I question. A few parts of it I reject because it can lead to a dangerous faux-love for terroristic Islamists, which call for unquestioning ‘love’ for murderers and terrorists, regardless of what they do, and disregarding the need to judge unlawful killing properly. God says in the Old Testament that one may not murder. It is one of the Ten Commandments and thus a perpetual command. God insists that the deliberate murderer MUST be put to death, a law that exists in perpetuity until the end of time. We are told that if we do not put the murderer to death his/her guilt will rest on us all, and condemn the whole nation. Nabeel is (2016) on tour explaining his book’s premise to many churches. I know that most people who hear him will accept his words without argument. This is because their idea of ‘Christian’ is twee, a fashionable response found not in God but in their own sentiments and a fake notion that we must ‘love’ everybody unconditionally, though God definitely does not! We will look at what Nabeel says in what might be termed the ‘Christian’ part, and see if his words are suitable, but in no way do I disrespect him as a fellow believer. I note that when he says something in this section it is always expressed as definite fact, to his mind. I tend to differ and warn Christians that even though Nabeel is indeed a genuine believer, he can cause many people to disassociate from God-given human judicial laws, and bring them into subjugation to sharia and Islamic pressure and deception, if not needless violence. It is true that Islam is not a cohesive religion, but a badly splintered one, with many sub-types. A very small number of them are genuinely peaceful, which means they do not follow the Koran or Mohammed precisely, as do terrorists. Even so, my argument is that if threatened by terroristic types this peaceful minority may easily capitulate and do as it is told, just as unfortunate Muslims have done in the Middle East, because they fear the consequences. But, more pertinent is the fact that ALL of Islam is godless and hated by God. This verdict MUST be faced. So, peaceful or not, Islam is to be rejected. And in any nation, people have the right to NOT accept Islam, to vote-down its aims of supremacy and demand for sharia, and to control it if it does not do it. You might say this is not right, but I say it because Islam’s centre is the Koran and the life of Mohammed, and both are violent and totalitarian, playing out Satan’s end-time game. Nabeel, because of his own experience, wants Muslims to be accepted and trusted. But, this cannot happen when most Muslims support and want sharia and support jihad. Unless there is a quantum shift towards leaving Koranic Islam behind, Muslims cannot expect to be trusted. This is further underlined by the common practice of taqiyya (lying) and the insidious infiltration of Christian communities by radical Islamists in order to do harm. Nothing in the above is gleaned from my suppositions – it comes entirely from what Muslims say and do. Yes, a few are peaceful; but that is not enough. From a biblical point of view I cannot tolerate a false religion and its false god/s, because to do so would dishonour the Lord. I can be civil and courteous, but I cannot accept as my fellows those who worship a false god. This is quite consistent with scripture. Now, let us look at texts from the book. It is important that you obtain and read Nabeel’s book; compare my comments to what Nabeel says, and decide for yourself if my arguments are reasonable. (I want this article to be courteous). In my own mind I sincerely hope Nabeel will move forward and make his observations more aligned with scripture. At the moment he thinks his arguments are water-tight, but I do not see it that way. Below, I give chapter titles and page numbers etc., so you can follow what I say in Nabeel’s book. Obviously, my comments might be wrong, but I do not, at this time, think they are. From this point Nabeel is adamant that what he says is correct. Yet, the biblical text he quotes is far from readily understandable. Indeed, I have been examining it myself for some time. In the second paragraph I there is the first of several personal hypotheses. As one whose daily task is to teach scripture, I think his assumptions do not necessarily equate with declared biblical truth. (I do not mean he is heretical or deliberately teaching falsity). For example, he refers to the time Jesus was arrested in the Garden, prior to his death. His biblical reference is correct, but his assumption, in my view, is not quite right. Jesus certainly allowed Himself to be taken, but it was not in order to teach against violence. He allowed it because it was His time to be sacrificed. It is possible that if drawn on the question, Jesus MIGHT say He could not sanction violence. But, to say that, we must presume and insert an argument where none exists in the text. Jesus knew it was His time to die, and nothing, not even the well-intentioned actions of his disciples, would stop it happening. Thus, the incident is not a proof-text against violence, but a proof-text in Jesus’ obedience to the Father. Then, p126-127, Nabeel refers to the Sermon on the Mount. He says “Nowhere in the Sermon on the Mount do we find an allowance for Christian violence, even for self-defense”, and he uses the incident of being hit on the cheek (Matthew 5:39-41). As a student of scripture I find this text challenging and not immediately easy to interpret. Nabeel states that this teaching is “in tandem” with the teaching on loving our enemies. “Christians are not supposed to fight their enemies, because they are supposed to love them.” (See my article on this matter). Firstly, there is no necessary link between the two teachings. Secondly, Nabeel speaks as one who appears never to have been physically attacked. Thirdly, loving our enemies is a very hard teaching with no easy answers, though Nabeel thinks the answers are plain. Nabeel’s error of thought is in not defining what he means. For example, who does he refer to as ‘Christian’? I ask because later in the book he appears to endorse Roman Catholicism as ‘Christian’. Also, he does not properly identify who is our ‘enemy’. The texts he refers to are for who? Those who are our personal enemies against our faith? Or, broader enemies who physically attack us? Does he recognise national need to go to war, and so on? And there is a logical missed-step when he says we cannot fight an enemy BECAUSE we must love them – as if one excluded the other. So, what I am speaking against is not so much his conclusions (which are not properly defined) but his reasoning. His use of Matthew 5:43-48, then, is not interpreted carefully enough, in my view, nor does it take into account the teaching from Jesus Himself, for human beings to exert magisterial punishment against enemies in local societies (which can include the death penalty, and refers to the use of the sword). Nor does it take into account the very real acts of war undertaken by wicked rulers. Thus, to my mind, Nabeel does not separate or distinguish judicial ‘violence’ and personal violence. Until he is able to offer such definitions I see too many gaps in his argument, even though he admits it is only a beginning. What he says may, or may not, be correct, but I cannot tell from the little he has written. No book can contain everything, but in this kind of literature one must be definite before making final statements... especially when murder can occur. So, yes, Jesus’ commands are explicit... but many theologians have had difficulty with the verses Nabeel quotes. So have I. This does not mean Nabeel is wrong or that I am right, only that caution is needed, especially in days of Islamic terror which can easily confront any Christian in any country at any time. I see what Nabeel says as naïve if not potentially dangerous for that reason. Yes, we must love. Yes, we must live in peace. But, note the biblical conditional clause – we must live in peace insofar as we are able. That is, there are times when peace is not ours to make or keep. I ask Nabeel this: If he saw a gang beating up an old lady in the street, would he just walk on by because he cannot use violence even in defence, or to help a fellow human being from being killed? If, God forbid, his daughter was dragged down a dark place by a man, would Nabeel go after him and do what was necessary to free her? If a terrorist was in front of him with a knife and he was going to plunge it into his chest – would Nabeel stop him? How? As one whose very job was subject to real violence every day, I know how to separate ‘violence’ from ‘violence’. Nabeel does not answer such questions. P129. Nabeel looks at the time Jesus told His disciples to buy a sword to take with them (Luke 22:36). He tells readers that the Greek word for ‘sword’ can be misinterpreted. Some may indeed not know, but I do. He says that the sword was more of a long knife useful for cutting meat etc. This is partly true. Nabeel then says that Jesus said only two such swords were needed between them all, so they could not have been used for fighting. The text, says Nabeel, does not speak of fighting. That is also true – but neither does it say the disciples may not defend themselves on roads well-known for bandits. Nor does it say the sword was only for cutting up meat. The verse says that ANY disciple who needed to buy a sword should do so. This sword was important, as selling a garment to buy one proves. The disciples told Jesus they already had two swords and He told them that was sufficient. Probably because they were sent out at His behest and so would be protected. In this text, ‘sword’ is machaira. Nabeel is right to say it can be translated as ‘long knife’. But, he fails to say that it can ALSO mean a small sword or dagger that can easily be carried. It could also have been a curved sword similar to scimitars, used for a cutting stroke, or a straight sword used to thrust. Or, it can simply refer to a large knife. The text does not show why the sword was needed or what it might be used for. Nabeel’s is an assumption. Perhaps correct, but not proven from the text. It is probably the case that the disciples did not need more swords, because of what Jesus indicated in verse 35: whenever He sent them out did they need for anything? Thus, He would take care of them even if they were attacked by bandits, etc. Yes, the swords could have been used to cut meat – but that is speculation, even if probable. Also, the use of the sword was not confined to cutting meat. Indeed, Jesus said no more about having a sword. Note that Peter already had a protective sword in the Garden when Jesus was arrested, which suggests it was normally worn. At any rate, there is nothing in the text that refers to an enemy or to non-violence against an attacker/enemy. When teaching scripture we MUST be accurate and may not be selective when interpreting if such does not convey truth properly. Nabeel does not adequately define what is meant by ‘violence’. By his reckoning a Christian police officer, for example, may not use physical means to bring down a violent criminal; he may not enter a riot and do what is necessary to protect life; he may not defend himself from a gun or knife in an attack and so will leave the criminal free to kill or maim innocent people. Same goes for soldiers. In other words, Christians in the armed forces and police cannot defend or attack. Nor can psychiatric nurses who have to deal with convicted killers, as I had to. It seems to me that Nabeel confuses rightful violence and ‘bad’ violence. He must define what he means, because otherwise many innocents can be harmed or killed. The idea that “(Jesus) explicitly teaches against self-defensive violence (as evidenced in the) Garden of Gethsemane.” No, if there is such teaching it is very indirect in the text, though I do not see any such reference in it. Nabeel honestly admits the problem with self-defence, saying “I’m personally unsure where I stand in terms of pacifism versus justified fighting.” Here, he also does not define ‘pacifism’, so there are large chunks of logic missing. I cannot accept the idea behind the penultimate paragraph! Nabeel thinks Jesus was “willing to die for others, including his enemies. He came to serve those who killed him, even to die on their behalf”. This is confused theology! Jesus came to die for those who are elect, not for everybody. Some who might have been His enemies would certainly be saved by His sacrifice IF they were elect and were later saved. He did NOT come to ‘serve’ those who killed Him – He came because He had to be a sacrifice in order to save the elect. There was nothing servile about that! From this poor exegesis, he goes on to link Jesus’ sacrifice to our sacrifice whilst ‘serving’ our enemies (p131) (?). This is simply not acceptable. In what way do we ‘serve’ our enemies? And what does he mean by ‘enemies’ (see earlier query). In reality I avoid my enemies as much as I can. It is how I see things. I avoid them because they are not acting in a godly way and I do not deliberately seek harm to myself. He fails to separate judicial enemies from personal enemies. For example, did British Christians ‘serve’ Hitler or Germany in WW2? Nabeel needs to greatly expand his thoughts on all this. In this section there is a typically confused idea, that Christians were responsible for the Crusades. Nabeel properly says jihad was the result of Islamic teaching, whereas the Crusades did not reflect biblical teaching of God. That is true. But, his reasoning is later flawed. This is because he confuses Romanism with Christianity. In the fourth century “much that was culturally Roman coalesced with the Christian faith, and warfare began to gradually enter the Christian perspective.” By ‘Christian’ does he refer to Romanists or genuine believers? The causative agents may, or may not, have been as Nabeel suggests, but we may suppose it to be the case, because it alters nothing. He goes on to mention Augustine’s idea that one could enter into war if one did penance afterwards. This, of course, is not sound, for it means we sin deliberately and then seek to offset it later with repentance. I do not see an enforced war (enforced by wicked ‘others’) as a ‘necessary evil’ but simply as something one has to do to oppose evil, a wickedness we have to deal with. Quickly, Nabeel equates ‘Christianity’ with ‘Crusades’ (p133). Let it be made clear – the Crusades were devised by popes and the Roman Catholic organisation masquerading (as it still does) as a ‘church’. It is not part of the Christian Body. Therefore, everything said by Nabeel on the matter can be discarded. It is said that the Muslims began the warfare by attacking and killing Christians, and taking their lands. The popes reacted to this by sending large armed contingencies to exact revenge, because Romanists had territorial aspirations. But, it does not make any difference, because the Crusades are NOT part of genuine Christian history. Jesus is prominent in Islamic eschatology; Muslims believe Him to be a miracle-worker, and One Who will return from Heaven at the end of time. However, Islam says “(Jesus) was not killed, nor was he crucified, but so it was made to appear... Allah took him up to Himself.” (4:157-158). This is a gnostic heresy, borrowed by Mohammed. We need not bother to repudiate those words, because they are found in the books of cults. This is especially so when the Koran contradicts itself on Jesus’ death! (19:33). Further, Muslims say Jesus will come again to usher in the last days, before dying prior to the final resurrection – an unproved fallacy. Another part of the Islamic beliefs concerning Jesus, is that He will fight the anti-Christ, the dajjal (p139). After that point the various branches of Islam have contrary and diverse views. In recent years (though not really heard of in the past five) Jesus may also be accompanied by someone called the Mahdi. I remember this vague person was supposedly seen amongst Muslim congregations some years ago, mysteriously appearing and then disappearing several times. Then, nothing was heard. The Mahdi was either equal to, or better than, Jesus. The main thought amongst Muslims is that Jesus will indulge in jihad when He returns. Nabeel says, page 140: “The security of salvation is what liberates Christians to follow difficult teachings of Jesus and to self-sacrificially love one’s enemies, even being ready to die for them.” Die for an enemy? Nabeel fails to define what this means and when we should die “for” an enemy. For what purpose? To die because an enemy catches us unawares and kills us is one thing, but to deliberately die “for” an enemy for no purpose invokes many questions. In this context I remember my response to being strangled close to death by a mental patient. I told myself I would not die at the hands of an insane person for no reason, when I had a wife and family to look after. From that time I defended myself... but I never viewed the patients as my ‘enemy’, which must confuse Nabeel’s proposition. A story of a science teacher who moved his family to Benghazi. He taught there and was eventually murdered by Muslims. One must question the legitimacy of such a move, especially as his family died as a result. What for? There are many delusions amongst churches today, including a perceived need to ‘serve’ enemies, knowing that death is likely. I cannot really comment, but I would not be surprised if the man was charismatic. It was said he moved to a dangerous place to preach the Gospel. If this was a genuine call of God, then I can accept it, though to put ones’ self in danger does not make sense (too little detail is given). However, Nabeel’s link between the Gospel and dying at the hands of ISIS are less than clear. An inspiring narrative by the wife of a Christian murdered by ISIS is fine, but the links and logic are missing, because there are no definitions. This oddness is found in a Catholic ‘archbishop’ in Egypt (p141) who said he was sad when Egyptian forces bombed ISIS. He said we ought to love our enemies (again I urge you to read my article on that topic). Like Nabeel, he confuses judicial or national action and personal action, even though they are different. Most readers are by now well aware of my views on what to do with ISIS and other murderous jihadists. Now let us see Nabeel’s view. Bear in mind that in my work some years ago I had to literally fight, and was injured, to stop violent men from inflicting injury or even death upon others (and on myself); it was part of my job. This had a lasting physical effect on me, but I had no regrets that as a Christian I did what I had to do. In the first paragraph Nabeel rightly says that if we do not tackle the problem of jihad properly, innocent people will die. On the other hand, he says, if we lack compassion, “we close the door to innocent people who need refuge from places like Syria and Somalia.” This is where the difficulties arise, and in a big way. See my three articles on those who claim to be from Syria, and on the almost impossible task of identifying people as genuine refugees BECAUSE of their Muslim roots. Nabeel must show irrefutable proof that someone IS a genuine refugee, and FROM Syria (etc). Otherwise compassion will simply be a front for being stupid, allowing Muslim bullies and possible terrorists into the West. Also, read my article describing what international law calls a ‘refugee’. None who enter Europe can prove their case! Nabeel thinks responses to jihad lately have been “far too polarised”... but what does he mean, when the ONLY terrorism has been by Muslims, and mostly those who were supposedly ‘refugees’. Nabeel thinks that we must have a two-pronged approach: know the real facts about Islam, and, show “compassion for Muslims”. The first part of his book gives a good summary of Islam. But, he does not define what he means by “compassion for Muslims”. In the New Testament we find Jesus showing compassion for the multitude. That is, for the very same Jews He came to earth to call to Himself and who followed Him. He had no brief to do the same for gentiles; a brief that began with Peter in an isolated incident, and then with Paul. Compassion, in ordinary terms, means to feel and show pity. This is something every Christian must feel for the unsaved, but in a limited way, unless God shows us otherwise. Remember that Jesus told His disciples to shake the dust off their feet if a town did not listen to the Gospel; He did not tell them to return out of compassion! However, to specifically show compassion for Muslims is not quite right. It is not unlike the ‘compassion’ some misguided Christians show towards homosexuals. What do I mean? I mean we can be moved inwardly by the lost estate of so many, but to ‘specialise’ our compassion so that it moves towards Muslims is tricky. It cannot go beyond an inward pity that they are so misled and deceived. On the other hand, theirs is a paganism that God hates. Therefore, any form of ‘compassion’ must be very specific. There can be no blanket compassion for those who worship a false God. This is why I keep saying that an approach to a Muslim must be on a personal, singular basis, IF the Holy Spirit leads a Christian to make such a move. While most Muslims are said to want sharia, agree with jihad, and worship the idol, Allah, there can be no over-arching compassion. The mistrust of all Muslims is, sadly, their own fault, for being Muslim and agreeing with jihadic beliefs and actions. It is true that Islam is ‘complex’ (mainly because it has been invented by men, who started to write the hadith over a century after Mohammed died). Nabeel admits Islam is founded on great violence, but also speaks of “positive teachings and qualities”. This is disturbing, even though it is not his intention to glorify Islam. It disturbs me because he appears to have a soft regard for parts of Islam, when God clearly and unequivocally hates false gods and those who worship them. To my mind, then, there are NO admirable qualities in Islam, because it has false roots producing bad fruit. Just as there is nothing good about homosexuality, so there is nothing good about Islam, whether or not it has a few genuinely peaceful adherents. In scripture God does not differentiate good and bad within a pagan idolatrous false religion, and I do not find compassion shown by Him or His Son towards evil people or enemies of the Father. P145. Nabeel thinks we must “show compassion for Muslims and befriend them”. How? Muslims tend to live in their own self-styled confines. They refuse to join with westerners. We can only show compassion for those Muslims who approach Christians with an apparent desire to be free of Islam. We cannot apply a generalised compassion. Also, we may treat them with respect as fellow human beings, but NOT as followers of their cult, which God hates. Do not be fooled by the Hindu dictum: hate the sin but love the sinner! This is not how God sees it; He hates BOTH at the same time (until they repent and change). Thus, we may not show a greater respect than God Himself gives. No false religionists may be shown respect for their religion. Many Christians would love to guide Muslims towards truth, but we know from experience that this is almost impossible. And, in days of Jihad and local sharia-led Muslim gangs who impose Mafia-type control over Muslims, approaching Muslims with truth or even ordinary help, will be met by violence and hate. Again, this emphasises the fact that only a personal individual approach can be made. Also bear in mind that in the UK, to approach a Muslim with the Gospel or even an opposite view, can lead a person to be arrested and taken to court for ‘hate speech’! Nabeel thinks God loves unconditionally, though this is alien to scripture and theology. He thinks we “must” love Muslims “unconditionally”. I cannot do that. My love for individual Muslims must always be on a singular basis, when led by the Holy Spirit, and I cannot offer unconditional support or love, because it is not appropriate, nor is it something God demands. Nabeel thinks that if we thus ‘integrate’ with Muslims locally, we can identify those who will be terroristic. I think this is very naïve, because even Muslim families are often shocked by their sons and daughters who become terrorists! I would remind readers of two major set-backs to trusting and ‘loving’ Muslims unconditionally: (a) the widespread use of taqiyya, and (b) the commonly taught Islamic practice of ‘smiling with your face and hating with your heart’. If even Muslim families do not know when their relatives are becoming radical, how is a Christian, an outsider, meant to know when someone is radical? In Europe, many Christians are discovering the error of showing blanket compassion for Muslims, and some have been murdered for it. Nabeel calls for an end to fear and fighting. All very good, except that he ought to tell Muslims that. He thinks we must ‘break the cycle’, yet he himself admits that it is the Koran and hadith that produce the problems! Christians do not set out to fight Muslims or to fear them. They are the end-product of what Muslims do! To be fair, Nabeel is not advocating pacifism, but, rather, an inner love for our enemies. For myself I do not see someone as my enemy just because they belong to a cult or sect. They only become my enemy when they attack me, or when they attack God and His people. I have no problem retaining a heart of peace and love, but when Muslims overstep the mark and threaten or kill, I will not stand back and be attacked or killed for the sake of a false god. Nabeel quickly mentions Paul’s reference to having love (p147)... but does not appear to realise that Paul’s reference is to love between fellow believers. Nabeel thinks we should “share alternative worldviews”. Not so! Islam is not an ‘alternative’ to God or the Gospel. It is a system that opposes God, and He hates it. This is to be spoken against, not ‘shared’ as equal. Finally, Nabeel says he does not have the answer to jihad, but nevertheless thinks we must teach the truth about Islam and still show compassion and love for Muslims. This is a fine sentiment, but one that is not allowed by Muslims in the West, many of whom agree with jihad. Those that do not agree stay silent. Whether this is by reason of self-preservation or not, it does not matter; we can only go by what they do and say outwardly. I am all for showing compassion for those Muslims who require it, but I refuse to show compassion on such a wide scale, that it becomes ‘twee’ and fashionable, a fashion followed by Christians who have no idea what they are talking about, and whose beliefs are tainted by many errors. (Today, many of these ‘twee’ Christians love to have a fresh argument or fashion to follow). I am also all for showing love, but on an individual basis. Nabeel’s understanding of ‘love they enemy’ is ill-thought out, and misapplied. It is my belief that Islam must firstly be charged with being a grotesque wicked paganism, whether or not its adherents are violent. Only after identifying the poison can we treat it with an antidote. Also, God warns us not to mix with those who are against Him, and He has never rescinded the command to put murderers to death. Thus, we must apply swift judicial penalties (death) to terrorists. Nabeel must face the fact that violent Islam must be crushed by law, which includes judicial killing of combatants. I found the book good for giving information about Islam, but, in my view, it failed to show a proper understanding of the scriptural position. Others may see it differently.